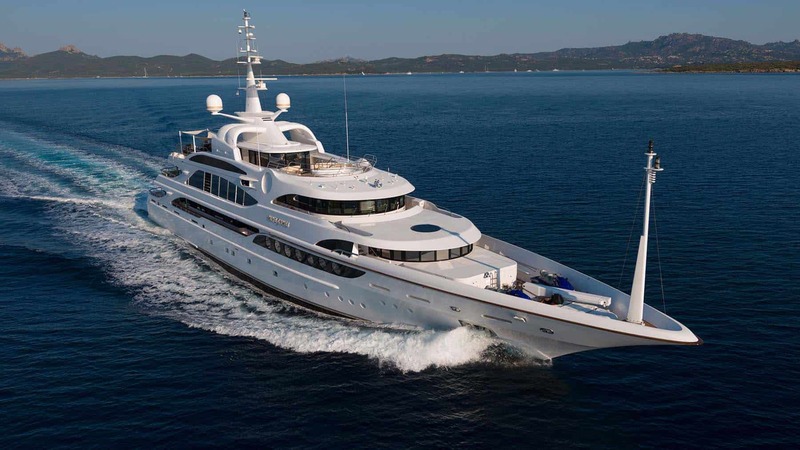 Benetti Luxury Yacht MINE GAMES SOLD! Delivered in 2010 and refit in 2015, MINE GAMES maintains a level of decadence and class that is unprecedented. Her elegant exterior, fashioned by Stefano Natucci, is matched only by the luxury of the interior design, which was the work of Studio Massari. MINE GAMES was built for adventure and relaxation. With an impressive 8,000 nautical mile range, travel the world’s seas in search of the latest exotic destination while enjoying the air-conditioned open-air gymnasium or the touch and go helipad. Indulge in leisure on your journey with the expansive sundeck featuring a sky lounge, full service outdoor bar and dining for all guests, audio visual entertainment, Turkish bath and showers, and a jacuzzi boasting panoramic views of your latest pursuit. With direct access to the exterior foredeck’s sparkling ocean views, MINE GAMES offers a stately, 3-room master suite that includes a private salon and dressing room, an office and lounge area, and marbled bathrooms complete with a jacuzzi tub. Additional accommodations for a total of 12 guests can be found in the VIP suite on the bridge deck as well as three double cabins and one twin cabin.